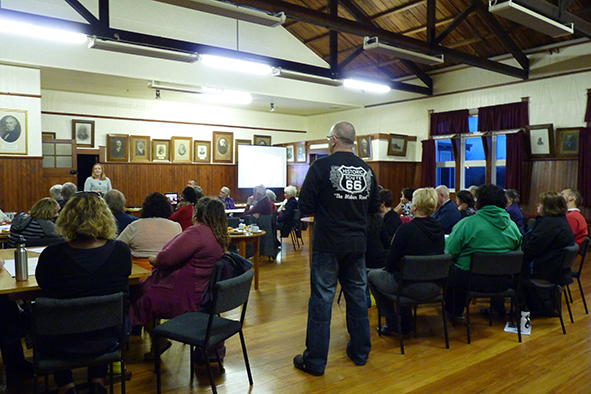 Thanks again to all the people who came along to the community meeting at Kiwi Hall 27 August. It was a great turnout and such a positive vibe. We are so proud of Featherston right now! Here’s hoping this translates to us being selected to partner with them under the Community-Led Development Programme. We will know the outcome of our application by the end of October 2017. To keep the ball rolling, lets continue on with the development of the community Skills & Interests Register. The Register was an idea from the Fab Feathy afternoon tea on 28 May. The Register will be a record of the skills, interests, resources/time that individual community members are happy to contribute to ensure that our vibrant town can reap the benefits of community-led development approach. For community-led development to be successful we will need many people working together. The Register will help to better target requests for voluntary support with available skills in town. The responses you provide will be collated to develop the Skills and Interests Register. 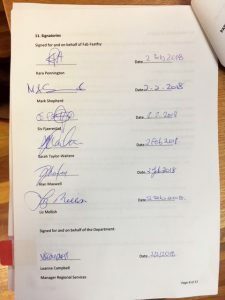 The Register will not be published or made publicly available. 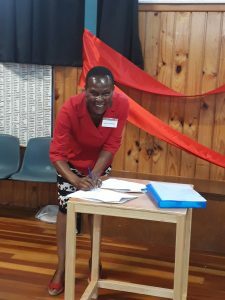 The intention, however, is that the Register is a community resource and so the information in it will be made available on request to people connected with community-led development projects. It’s been a while. Over the Winter months, Fab Feathy has been beavering away working on analysing your feedback. 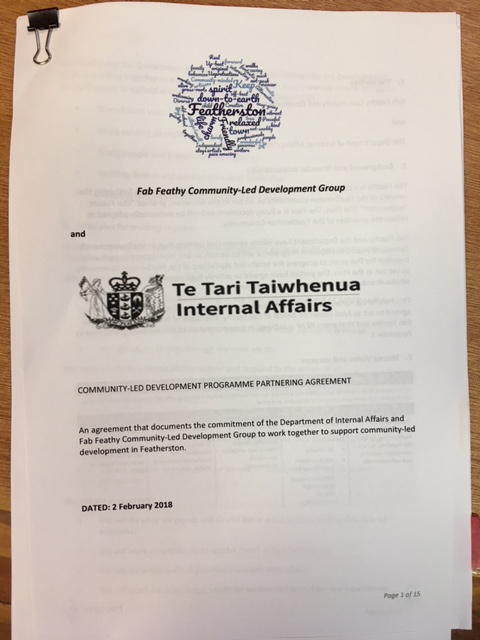 We would like to thank the community again for your contributions so far to the community-led development project that Fab Feathy has been facilitating in Featherston. We were blown away we are by the depth of thought that has gone into your ideas for enhancing the future of our community. 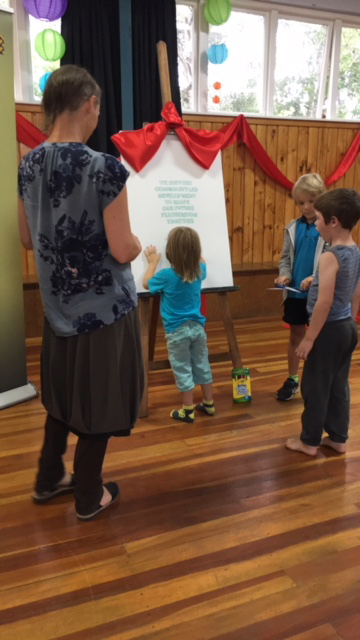 We received 205 responses to the Our Future Featherston survey, and great turnouts to the community potluck dinner (April) and afternoon tea (May), and around 450 suggestions posted onto notice boards around town. These are the results of the Our Future Featherston Survey and a Summary of Themes from all of the community input are attached. All the community input is currently being developed into a proposed community plan, soon to be made available. 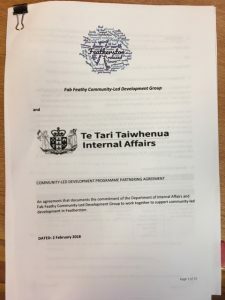 We hope this plan will support us work together and that it will help the Featherston community secure long-term government support to achieve our community goals. We will send a separate message out soon to ask people to put their hands up to help keep the ball rolling on exciting developments. Please think about how you can contribute your skills and time to ensuring that our vibrant town can reap the benefits of community-led development. Have you done the Fab Feathy 5-minute survey yet? The Fab Feathy 5-minute Survey can be done right here, right now - or you can grab a paper copy from the Featherston Library or the Featherston Community Centre. This morning we reached 193 survey responses!!! Kara Pennington is ecstatic about the number of responses: "Yay - Go Featherston!" She explains that the participation percentage of the Featherston community is well above the average compared to other communities. She says: "We want at minimum of 200 responses; 250 would be great; 300 would be excellent. We can do it!" If you have already done the survey, please encourage more people to have their say. The survey runs until the end of April. Community + Potluck = Great ideas & Fun Times! When there is a good thing happening, our community turns up! 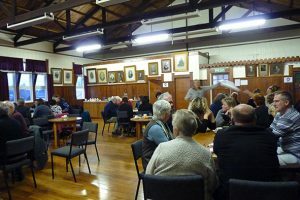 And the Featherston community turned up in large numbers for the Fab Feathy Community Potluck Dinner last Sunday 2 April - we reckon there were well over 200 people, from ages 0 to 90 and from all walks of life. We had the most amazing time - and we hope you did too. Thank you to everyone who attended, brought yum food, shared your ideas, played music, took photos, set up, cleaned up, and who contributed and supported the event in a myriad of amazing ways! Check out the THANK YOU list here; if you think someone's been missed out, please contact us on fabfeathy@outlook.co.nz. We are still buzzing from everyone's generosity of ideas and contributions. Please keep in touch and join us again at the next community event Sunday 28 May! At this meeting we plan to use the feedback we have gathered from the community as a basis from which to develop a set of community goals and to identify what priority projects might help us achieve those goals. We really hope to see you there. Why Fab Feathy? Why Community-led Development? In the April Phoenix article we heard from Mark Shepherd, one of the Fab Feathy members, about why Mark chose this particular group to be involved with. "I am involved with the Fab Feathy project because I have a real passion for the success and growth of our awesome town." 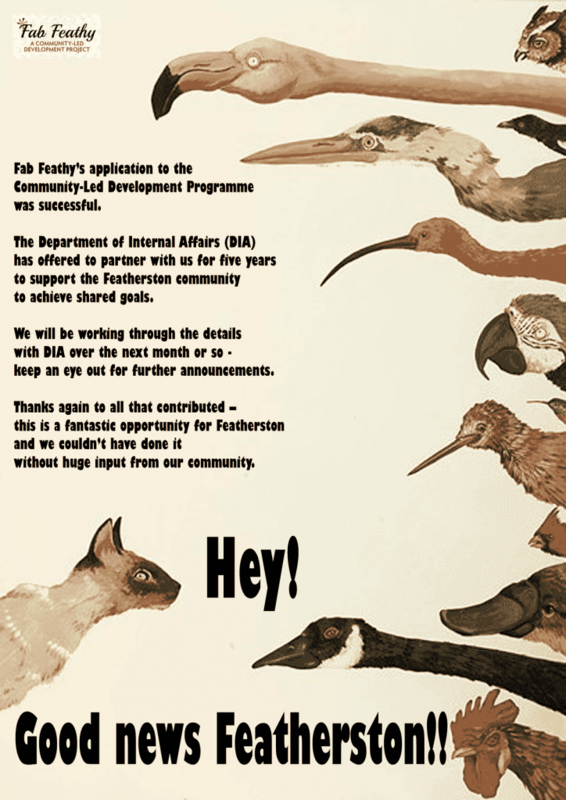 The Fab Feathy Community-Led Development project is building on what is happening now, and working together as a community to create the future that our community wants. Mark explains: "But we can only do it with the backing of our community. That is why we are asking for your suggestions and ideas." Mark also reiterated that we want to hear from as many Featherston people as possible about what they want to see for our great community. "You may have seen our noticeboards and suggestion boxes around town. A big thanks to everyone who has kindly hosted the noticeboards/boxes and to all of you who have shared ideas. We are pleased to say there is no shortage of great ideas in the community - keep them coming!" Our survey is a really quick and easy way to give us your feedback. For those of you that aren’t connected or don’t like to use the internet, a copy of the survey is published in this edition of the Phoenix. Just fill it out and drop into one of our collection boxes (see survey for more detail). All completed surveys will go in the draw for coffee vouchers. We have heaps to give away thanks to Loco, Gusto Cafe, and ESCVelocity. Community Potluck Dinner Sunday 2 April, 5 pm, Anzac Hall. Come along and share some kai, share your ideas and find out what others have told us they want for Featherston. Hope to see you there! Community-led development is based on the notion that local ideas, wisdom and locals working together is the best way to bring about the change we want as a community. We have a wonderful tradition of community-led development in Featherston. 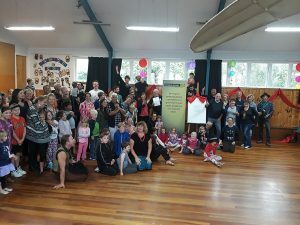 The Fab Feathy project is about continuing this tradition, building on what is happening now and working together to create the future that the Featherston community wants. 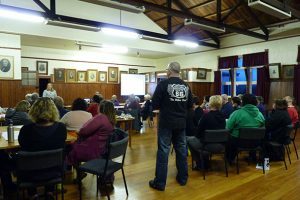 The first task Fab Feathy have set ourselves is to hear from as many Featherston people as possible, from all walks of life. 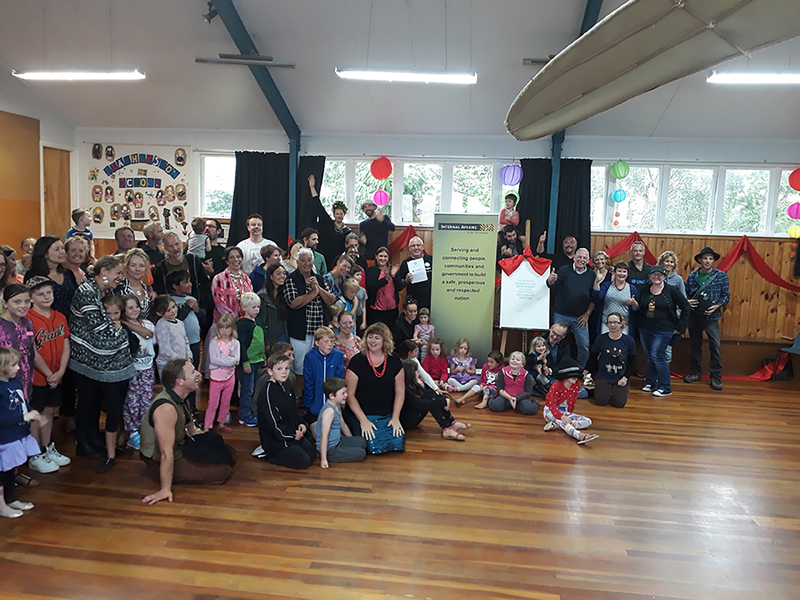 We need input from the whole community to identify Featherston’s collective aspirations and come up with a plan to achieve those aspirations together. Massive thanks to those who have kindly hosted the noticeboards and to all who have shared ideas via the noticeboards. What future do you want for Featherston? Fab Feathy has been beavering away planning opportunities to get your feedback. 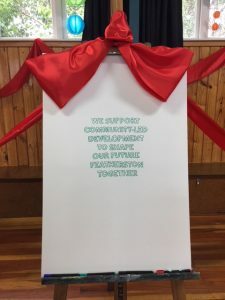 We kicked off the process to get your ideas for Featherston’s future with an “ideas noticeboard” at Loco and we can tell you this much, there is no shortage of great ideas in our community! If this is a taster of what is to come; bring it on! To enable more feedback, we are installing more noticeboards around town (e.g. at Supervalue, Featherston Community Centre, Featherston Library, and more) - for all those great ideas that pop up in your head when you are browsing the shelves looking for the next page-turner or getting your lotto ticket! Make sure you seek out these places and give us your two cents. If you are more of an online creature, we are developing an online survey to seek your feedback. Once we have the survey up and running we will publicise it here, and in the Phoenix. 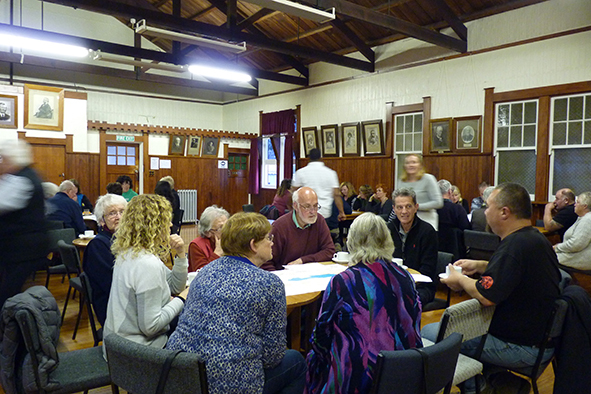 A quick snapshot of ideas so far includes: community events, walking and cycle trails, improved communication, community orchard and foodshare, developing Wairarapa Moana, safer footpaths, more jobs/training for young people, afterschool care, an integrated town. While we are seeing diversity in suggestions, it is pleasing to see much community agreement on aspirations for Featherston’s future. Community-Led Development is about our community working together to generate our own locally-led future. This is why is it great to see some of the ideas the community is wanting already underway with locals taking the initiative; especially in the community events and culture space. If you didn’t check out the First Friday Extravaganza in November, then give it a shot this month – this is a vibrant, fun for all ages community event with great tunes! Last but not least, big ups to all the people who responded to our shout out for help in the November Phoenix article.